UCIC is a Christian-based private educational program serving approximately 200 children from 2 months to thirteen years of age. Since it offers flexible childcare during the full workday, students are picked up and dropped off at varying times each day. Student records and general information–such as medical conditions and authorized caregivers–were originally maintained on paper. In an effort to move the process online, a kiosk was recently added to the campus for parents to check their students in and out of class. However, both parents and teachers wanted a mobile experience to keep attendance and caregiver records up-to-date without needing to visit the kiosk. 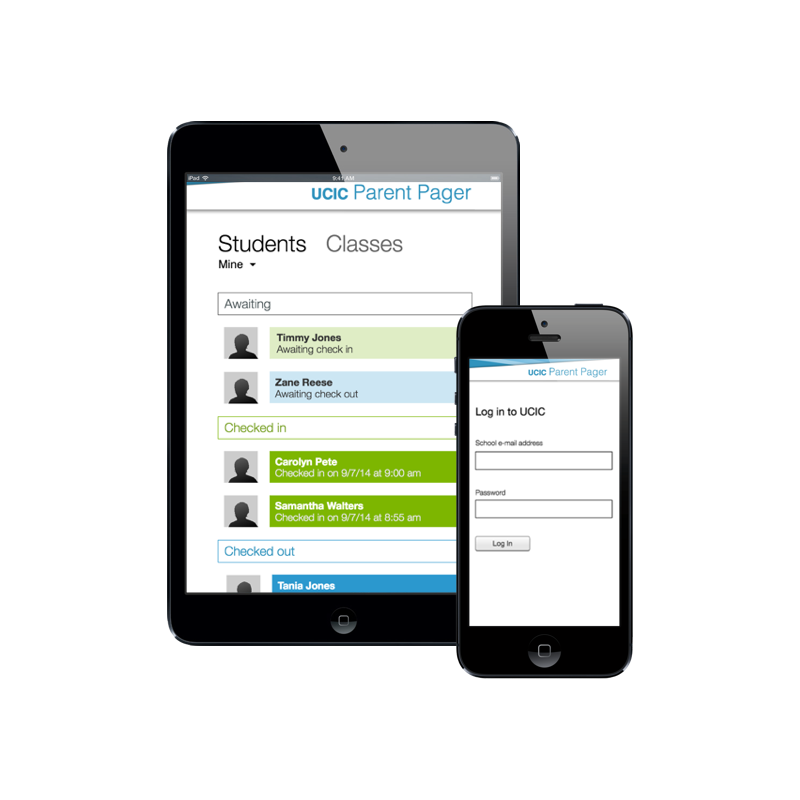 The UCIC Parent-Pager is a Windows phone and tablet application. It has two separate use cases. First, parents can check their children in or out of class and provide alternate caregiver pick-up authorization. The second use case is teachers can maintain a record of class size or the location of an individual child. This helps the school ensure an appropriate student-to-teacher ratio within each classroom, as well as highlight ways to improve staffing efficiency.